OPNT is looking for talented engineers who are enthusiastic about timing! 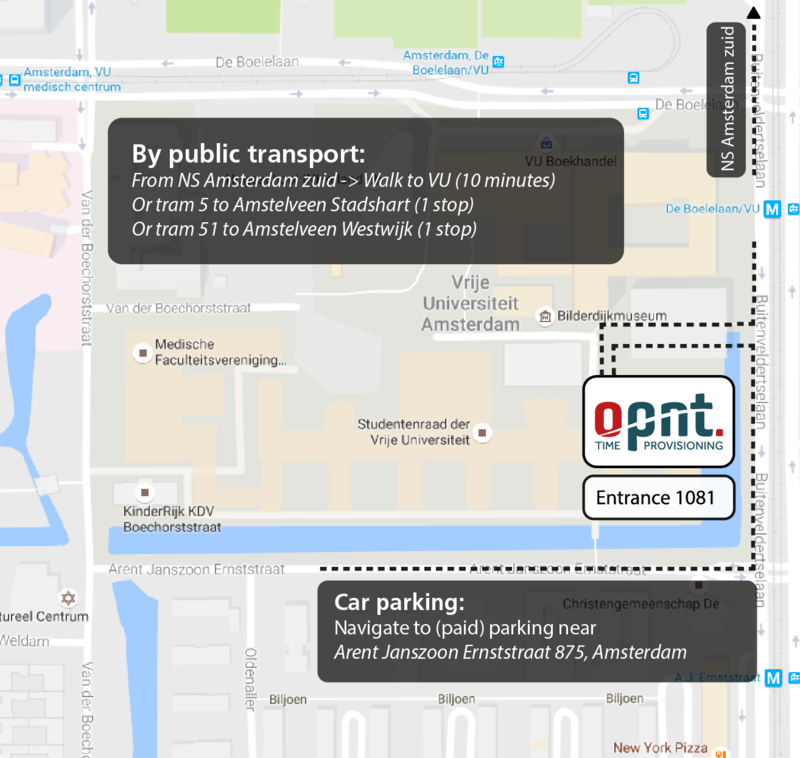 OPNT is a young and ambitious spin-off company of VU University Amsterdam which develops cutting edge timing solutions for fiber-optic telecommunications networks. We are the first worldwide provider of short and long haul optical timing and synchronization solutions based on the White Rabbit Ethernet protocol, developed at CERN. Working at OPNT means you will be working in a dynamic and fast-growing company. As an engineer at OPNT, you will be given responsibility for your own projects. The work you do will have a direct impact. At OPNT, we are working with the brightest minds to bring our cutting-edge timing solutions to the market. At OPNT, you will become part of a young, international, and highly educated team. Are you interested in working for OPNT? Apply for one of the vacancies below, or send an open application to info@opnt.nl. OPNT is looking for a junior software engineer to develop software in C and Python. As an ideal candidate for the job, you hold a bachelor or master degree in Software Engineering or Applied Computer Science, and you are familiar with digital electronics. At OPNT we are looking for an Optical Network Engineer to be involved in the implemention of our timing solutions into telecom networks. An ideal candidate would have a bachelor or master degree and have knowledge of optical fibers and/or fiber-optic networks. At OPNT we are looking for a Senior Software Engineer to developing software in C on embedded Linux platforms and overlook the software development projects of junior engineers.